“It was a dark and stormy night”, those scary lines flashed across my mind as I saw the streak of light moving around in a serpentine fashion towards my cottage. I cursed myself for not remembering Hanuman Chalisa even though my grandmother had tried to teach it to me a hundred times when I was growing. As the light continued to move languidly in my direction, stopping for a moment, and then continuing again the line “”It was a dark and stormy night”, now took me to old Bollywood movies wherein the remote Jungle guesthouse all you have is an Old Chowkidar, who moves around the derelict bungalow, only slightly older than the Chowkidar himself. The best part about these chowkidars was they had an old Lantern whose light was not even bright enough to reach the ground and only appeared as a moving dot on the horizon, making you wonder how the Old Chowkidar actually saw in its dim light. My theory was that these Chowkidars actually did not need the lantern and actually felt the ground under their feet as they were aware of every stone, every step, every corner and every ghost in the darkness at the old Dak Bangla. I am pretty sure Dak Bangla is a corruption of Dark Bungalow and has nothing to do with super efficient India Post. 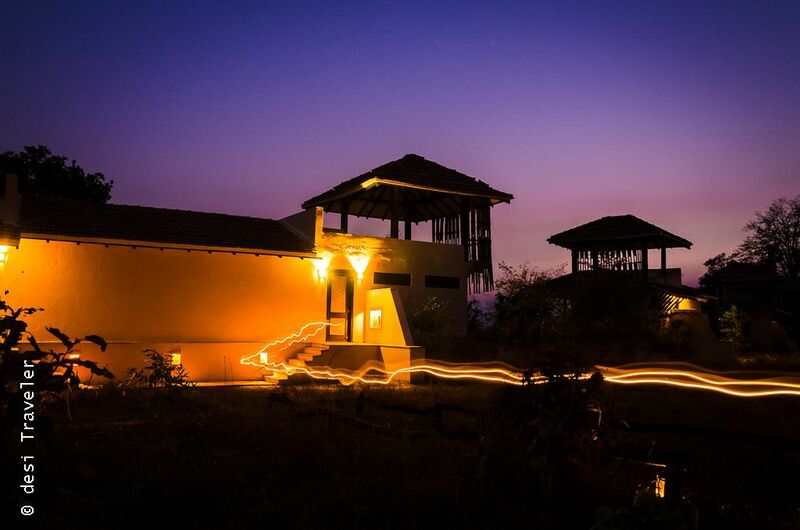 All the above and a few more words passed in my mind when I saw a light trail moving from the rooftop of my Cottage at the Denwa Backwater Escape. I had gone on the roof to try and click some star trails but now I was totally intrigued by this moving light and even on this cool March evening a bead of sweat appeared on my forehead. 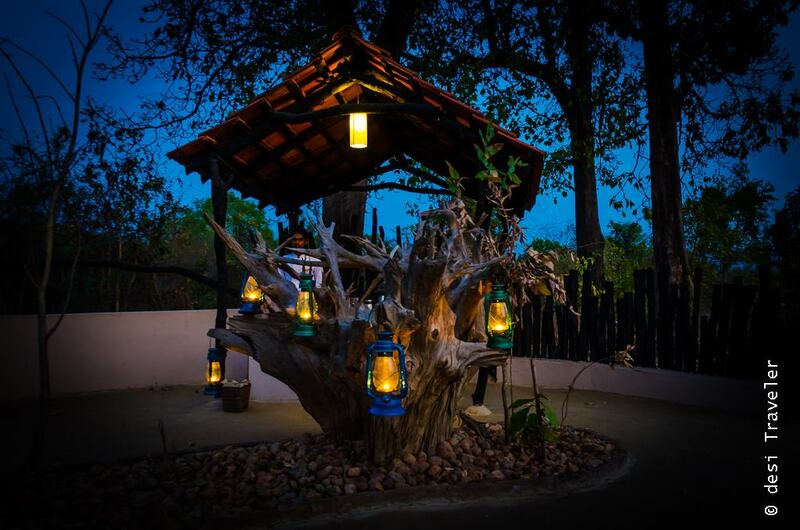 As the light came closer, it stopped right below my cottage patio and a voice erupted from the light, “ Good evening Sir”, I gave a big sigh of relief as I realized the mysterious light moving in a serpentine fashion was walking with Bishram Patel, the Lantern Man of Denwa Backwater Resorts. Bishram is not an old senile Chowkidar of a Dak Bangla, nor is Denwa Backwaters Escape scary in any way. 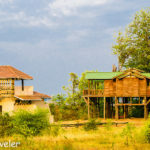 Actually, if you read my earlier post about my Stay At Denwa Backwaters Escape by Pugdundee Safaris, you will realize it is an Eco-friendly Luxury Wildlife Resort that offers all creature comforts in a responsible manner. 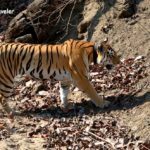 It Was A Dark And Stormy Night in Satpura – or Was it ? Denwa Backwaters Escape is right on the banks of Denwa Backwaters a part of the Tawa Dam reservoir system where we went for Canoe Ride for Birding during the day. 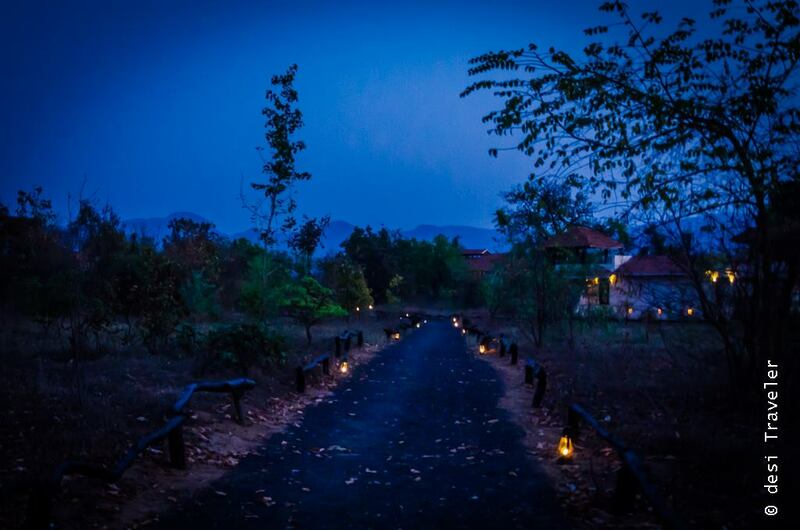 In the night for miles around the resort, the only light you can see is from the resort or the stars above. As a precaution to not disturb and minimize the impact of electrical lights on the wildlife across the river, the resort goes dark after dinner. But as there are guests and staff in the property, to show them the path they are all given a rechargeable torchlight. To illuminate the path, Bishram places lanterns at strategic locations, the light from lanterns is not strong enough to disturb the birds resting on the trees but good enough for you to show the path if you want to take a walk around. 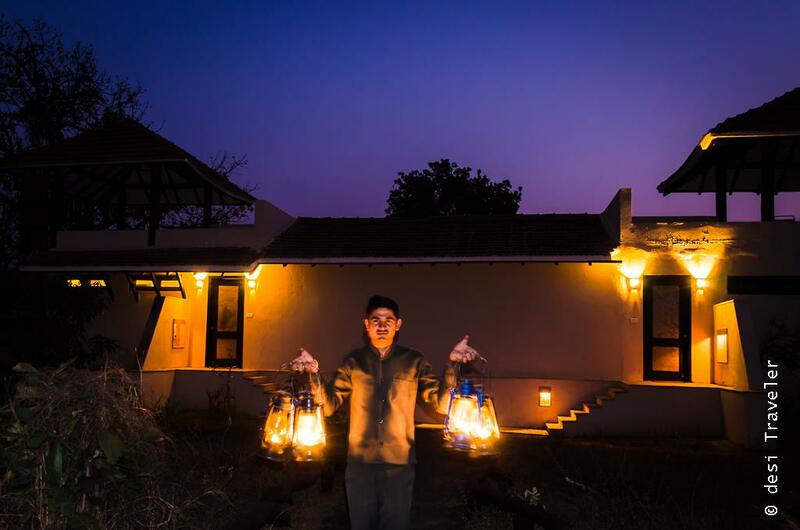 The reason I loved these lanterns was that this gesture from Pugdundee Safaris has not only taken into consideration the wildlife but it also generates employment for local people like Bishram Patel 33, who has been with Pugdundee since 2013 as the resort was getting ready. 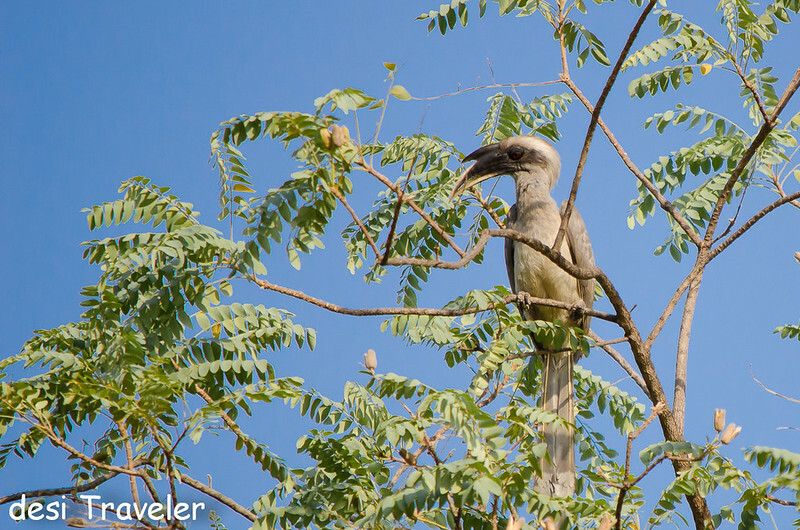 His family lives close by in a village and I actually visited his home in my last visit to Satpura National Park. And that my dear reader brings me to the biggest reason I love to travel. Every time we travel to a place we are redistributing money from cities to local economies in remote hamlets. That Maggi you had at a remote hamlet in Spiti will pay for books of a kid. That Thin Rare Ganesha I bought in a remote shop in Madhya Pradesh will help a tribal family live a more respectable life and obliterate the need to migrate to a big city as a laborer. But the biggest impact is made by the jobs that are directly and indirectly created by the tourism sector. Just look at the people we meet on our travels- Bus Drivers, Dhaba Walas, Cooks, Travel Guides, Porters, Hotel Staff, Naturalist, hawkers, photographers at tourist places and many more who all own their jobs to tourism sector just like our friend Bishram Patel, who diligently every evening cleans all the lanterns, checks the wicks, fills the lanterns with oil, lights them and carries the lanterns to the designated spot. In the meantime, he is kind enough to pose for visitors like me while continuing to work on his lanterns. Guests first notice work of Bishram when they return from the evening Safari, already the visitors area near the entrance. 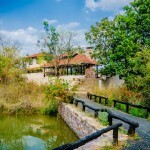 As the guests arrive after Safari, they are offered a wet tissue to wipe their faces and a cool glass of lemonade. Most of us fail to notice the lanterns at the arrival as it is still not very dark, but if for some reason you arrive a little late then immediately the golden glow of the lanterns attracts you. 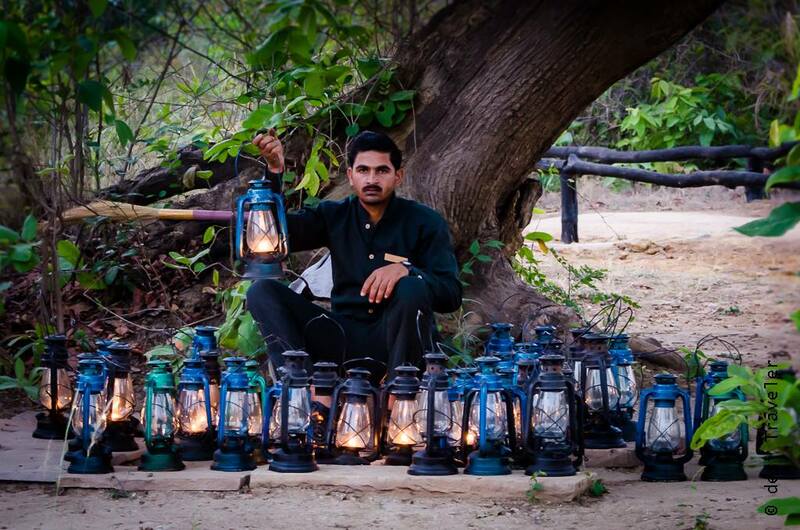 The first day I too did not notice the lanterns, it was only when I saw Bishram carrying the lantern I realized that he is the guy who is responsible for making sure that guests in the resort can see the path even on the darkest of the night. As I enjoy clicking pictures in the night, I followed Bishram around and clicked his pictures with all the lanterns and the Denwa Resort once he has placed most of the lanterns around. 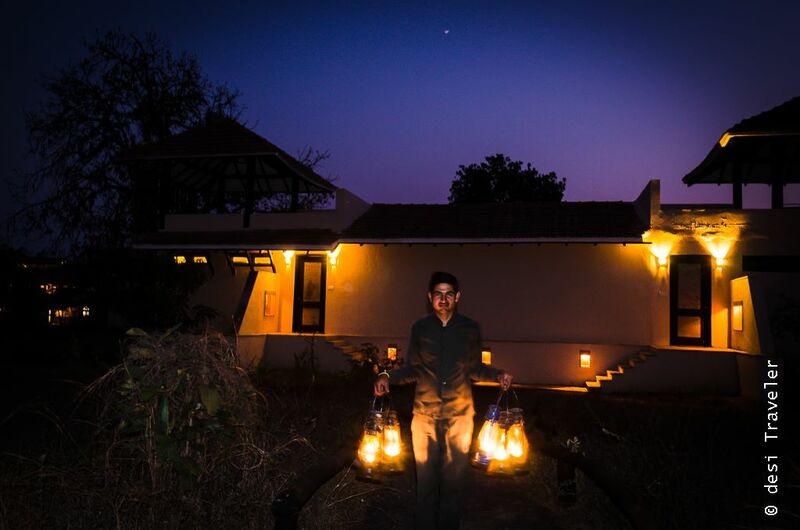 Bishram’s work begins before dusk and ends with him placing all the lanterns for the night outside all the cottages, entry gates and pugdundees in the resort. As Bishram moves from one spot to another he carries a bunch of lanterns in his hands giving him an aura of a man on fire or the Burning Man of India. He does not talks much, silently moving around the resort doing his job of lighting the lanterns, making sure they are placed at the right spot and sometimes walking around the resort just to scare the living daylights out of folks like me who were raised on a staple diet of, “ It was a dark and stormy night”. Nah, I am just kidding. Once I realized that he moves around the resort premises with the lanterns, I had a few shots in my mind and in this visit, I requested him to move around once I have set my camera. You can see the results here how with the help of the Lantern Man Bishram Patel, I created a trail of light . Not very difficult once you know what you need to do. 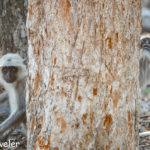 If you are interested in knowing, how this particular shot with moving lantern was clicked , then here are the details. 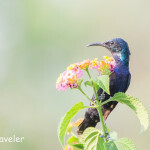 I visited Satpura National Park on an invitation of Pugdundee Safaris. 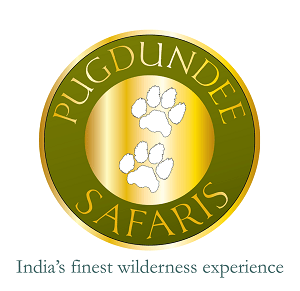 To know more about the Birding, Canoe Ride, Jungle Safari and Eco-friendly luxury stay in Satpura, you can visit Pugdundee Safaris Website. Great narration and awesome captures! Thanks Amit jee, always good to see you here.. This place looks really interesting, specially the lanterns. Loved the post 🙂 Awesome clicks. Lovely Pics !! being associated with the Tourism Sector this post ; made my Day 🙂 and thank you those Shot details, I will definately try shots like these. This is such a beautiful story from the jungles! The entire landscape looks kind of eerie but has an ethereal tender quality to it, thanks to the lanterns of the burning man. Spectacular pictures; it’s wonderful to see that efforts are taken to minimize the harsh impact of digitization on the life of the birds. What a beautiful story! I am for sure going to notice the lanterns now! 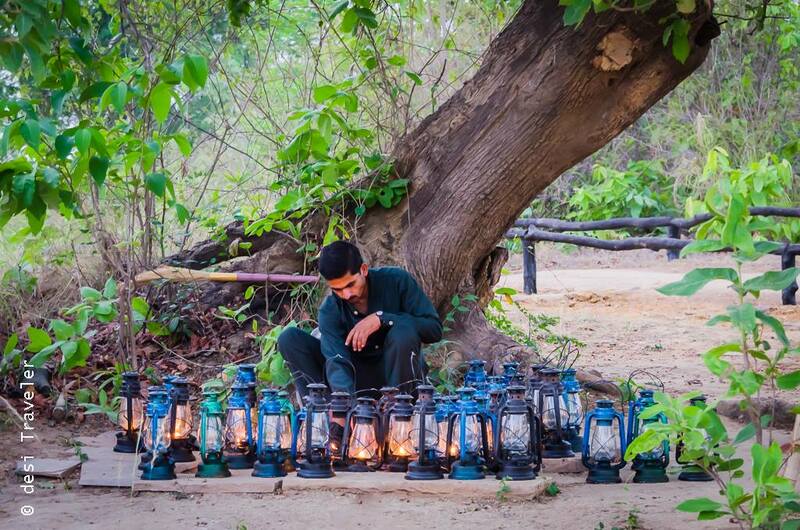 the lantern man works silently but is a very useful person…. Lovely narration of your experience. True, when we travel to remote places, we end up helping locals in several ways. I agree with you when you say travel supports a lot of local businesses. Denwa seems like a very idyllic place. I look forward to going there. 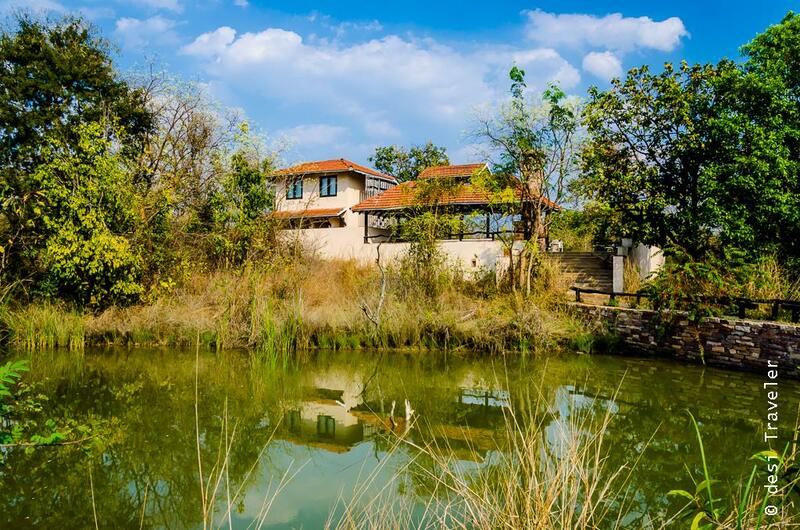 Beautiful resort and lovely post Prasad! Love how you picked one aspect and wove your whole post around it. Can imagine how lovely the place must look lit only by lanterns and I appreciate all the hard work that goes into it! I wish I’d made it for this trip! Love these night-time photographs. So haunting.